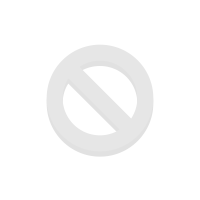 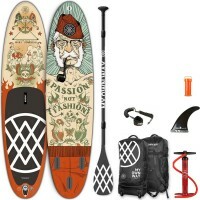 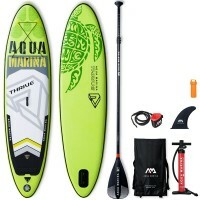 At Nootica, we’ve been selling Aqua Marina paddle boards for several years now. 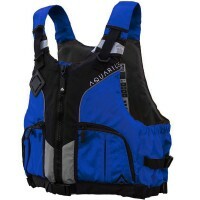 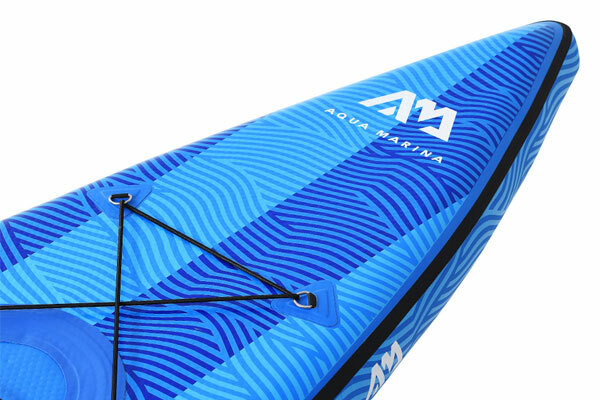 Aqua Marina is our entry-range brand, with products that cater to paddlers of all ages and are designed for all kinds of paddling. 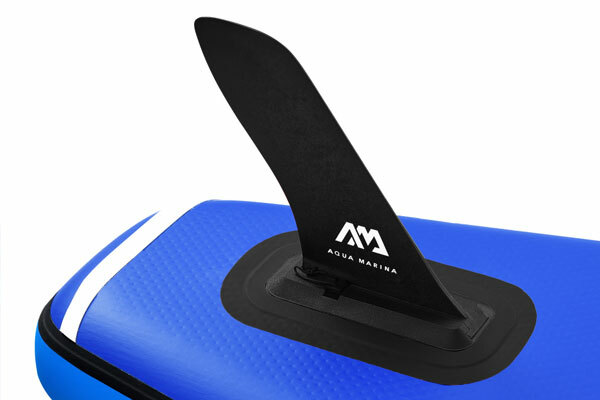 Aqua Marina inflatable boards provide lots of benefits: great looks, top performance and incredible value for money. 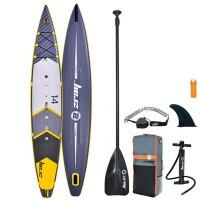 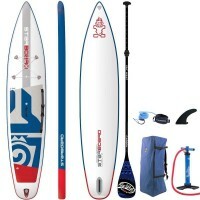 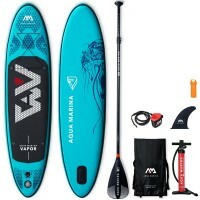 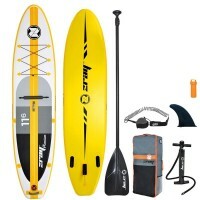 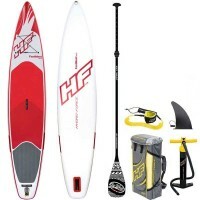 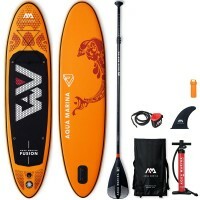 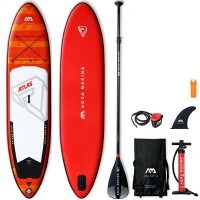 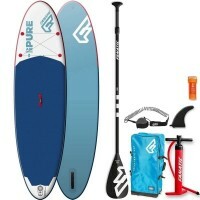 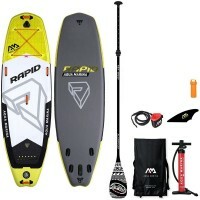 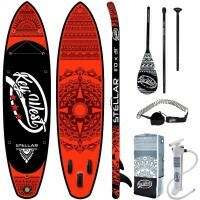 All our Aqua Marina SUPs come with all the accessories you need to head out to your favourite paddling spot. 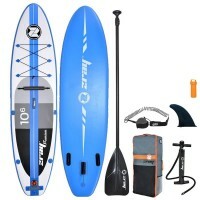 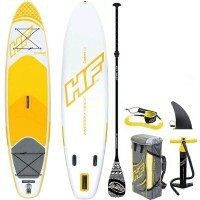 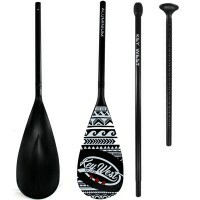 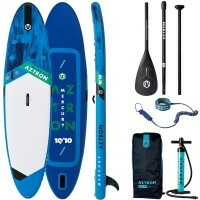 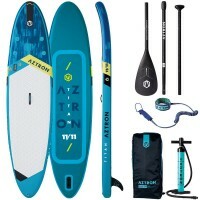 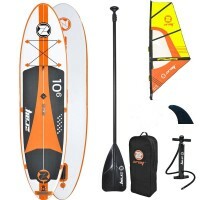 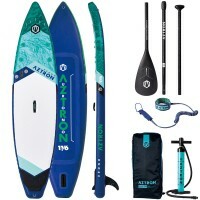 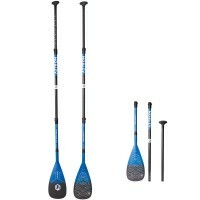 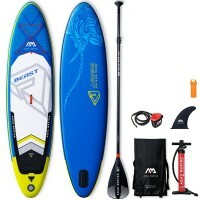 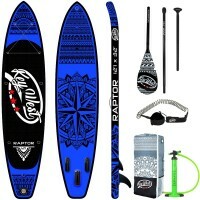 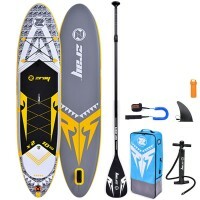 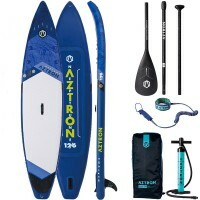 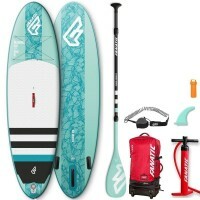 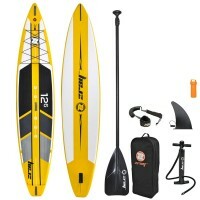 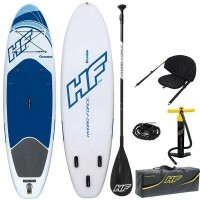 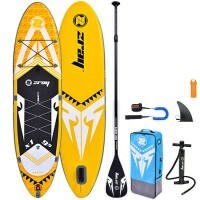 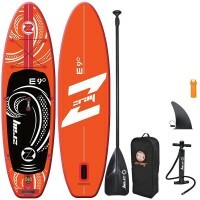 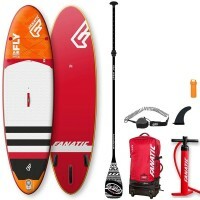 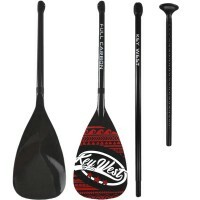 The Hyper Touring 12.6 is a higher-end paddle board boasting double chamber technology (2 separate air chambers) for increased stiffness and safety. 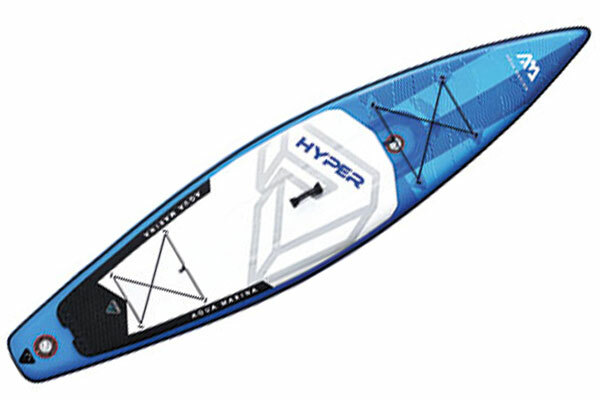 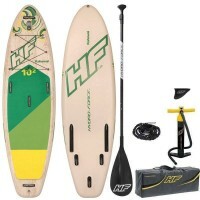 A fast paddle board with great glide, the Hyper is perfect for touring and exploring. 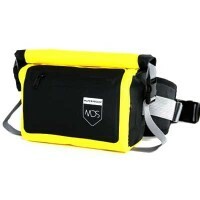 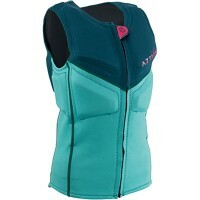 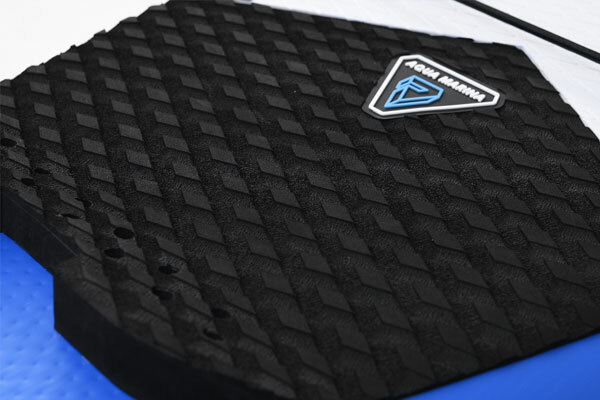 It's designed for riders up to 85 kg. 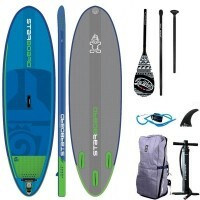 The board also comes with a cargo net. 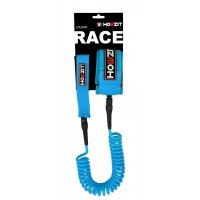 Simply poke the bungee cord through the D rings and tie a knot. 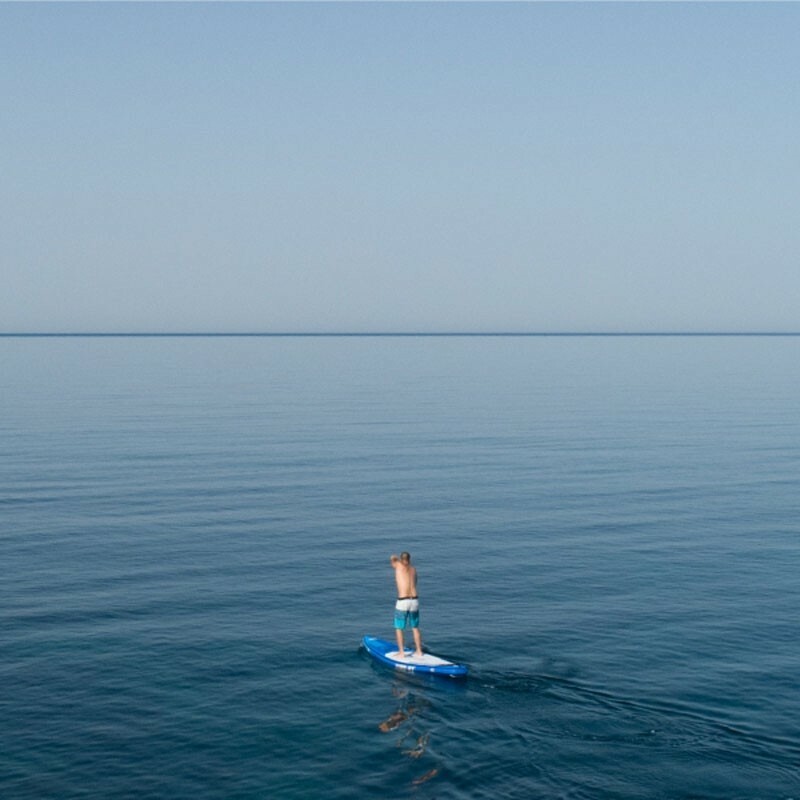 Vertically or horizontally, that’s up to you! 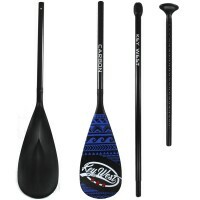 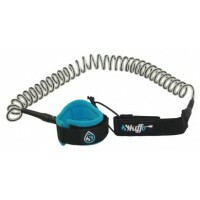 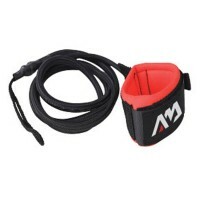 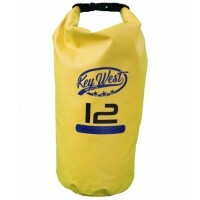 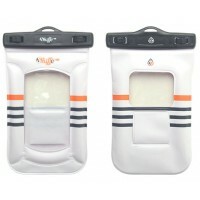 With its rail design, the foot pad is soft and provides excellent grip. 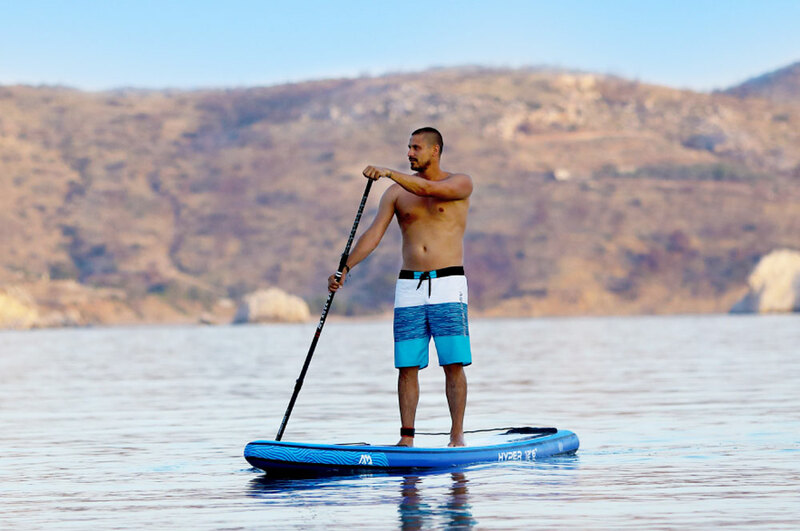 It's extra comfy whether you paddle barefoot or with shoes. 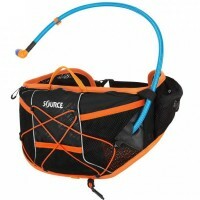 Built-in rubber handle makes for easy transport. 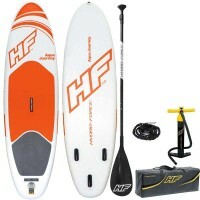 The Hyper features a single fin which allows the board to glide faster on the water. 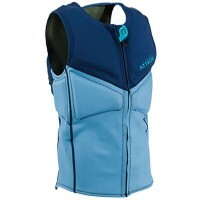 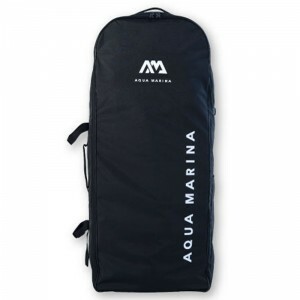 Your Aqua Marina Sup comes with a handy backpack for easy storage and transport. 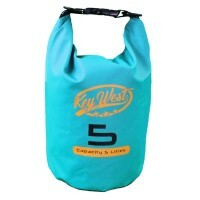 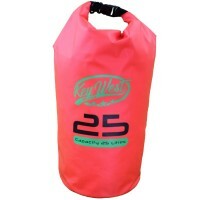 This bag is super convenient: fold the bag flat, then roll up your board and put it on the bag, then wrap up the board by folding the sides of the bag back on and eventually fasten the straps. 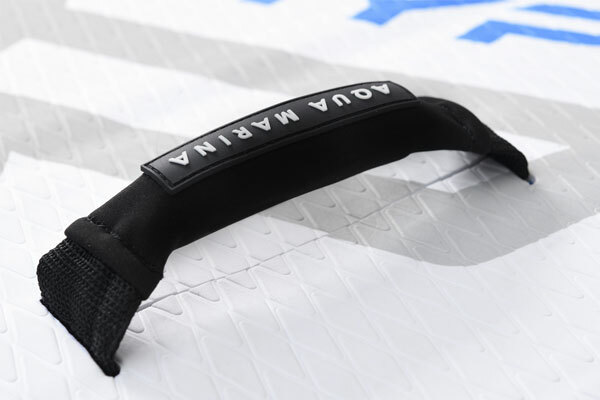 If need be, you can tighten the straps. 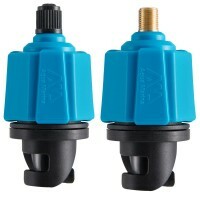 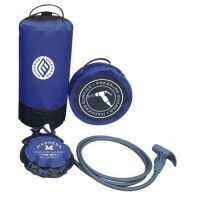 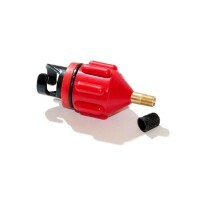 A high pressure pump with pressure gauge on the top is also included in the box. 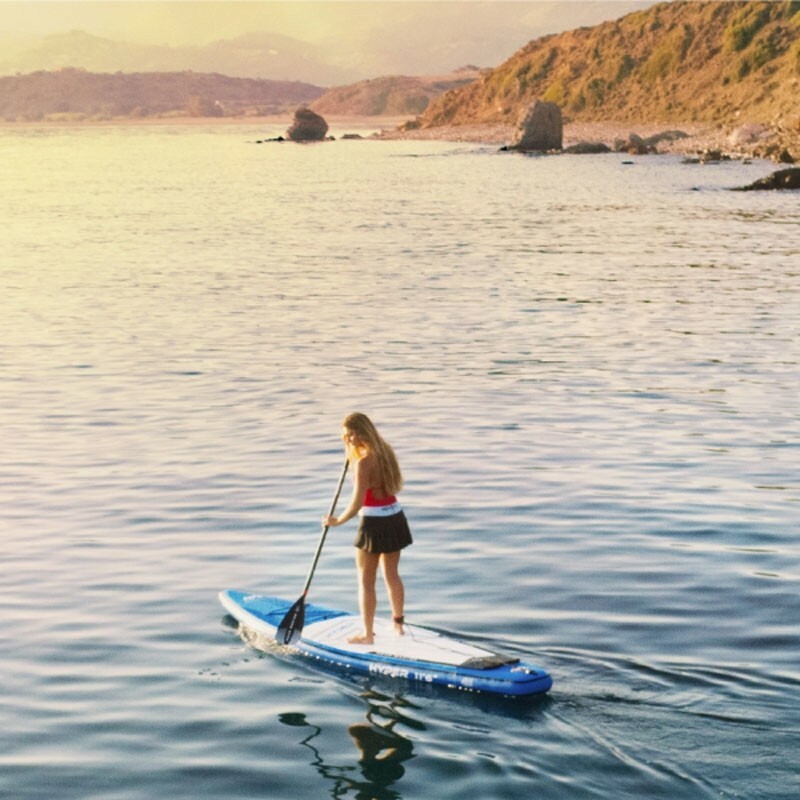 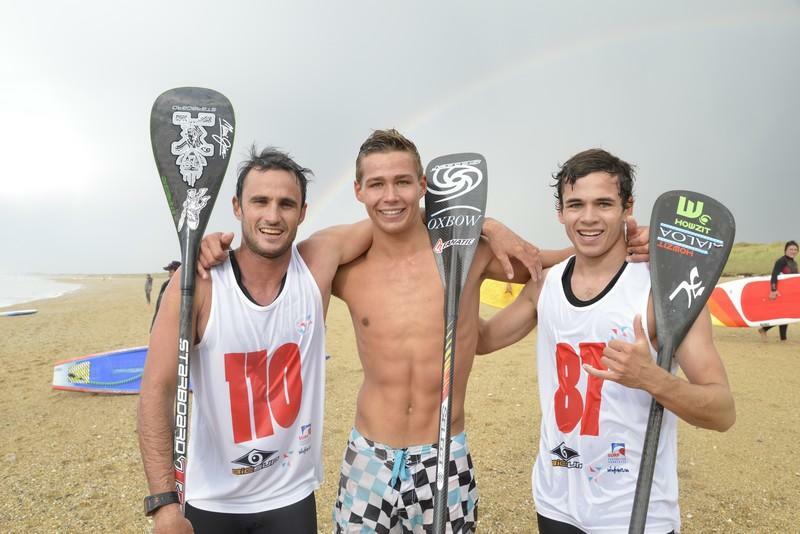 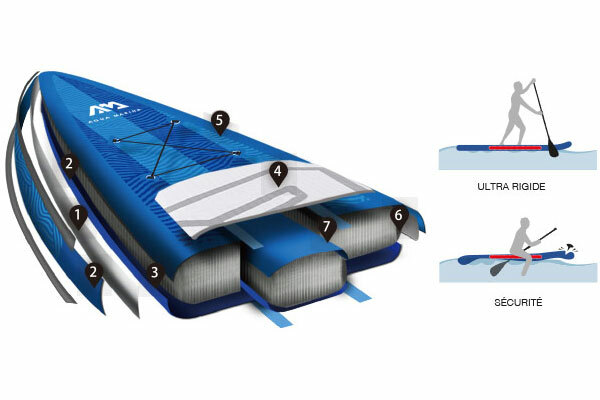 The length of a SUP board has an impact on its gliding/speed performance and on the turns. 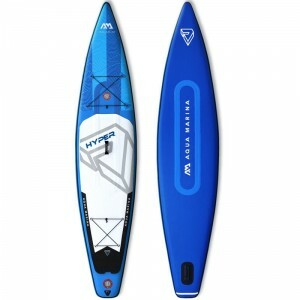 The longer the board, the faster it goes but the more difficult it is to turn. 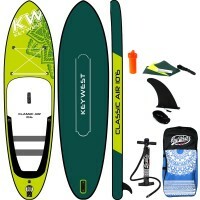 A wide board will be more stable but a bit slower and more difficult to turn. 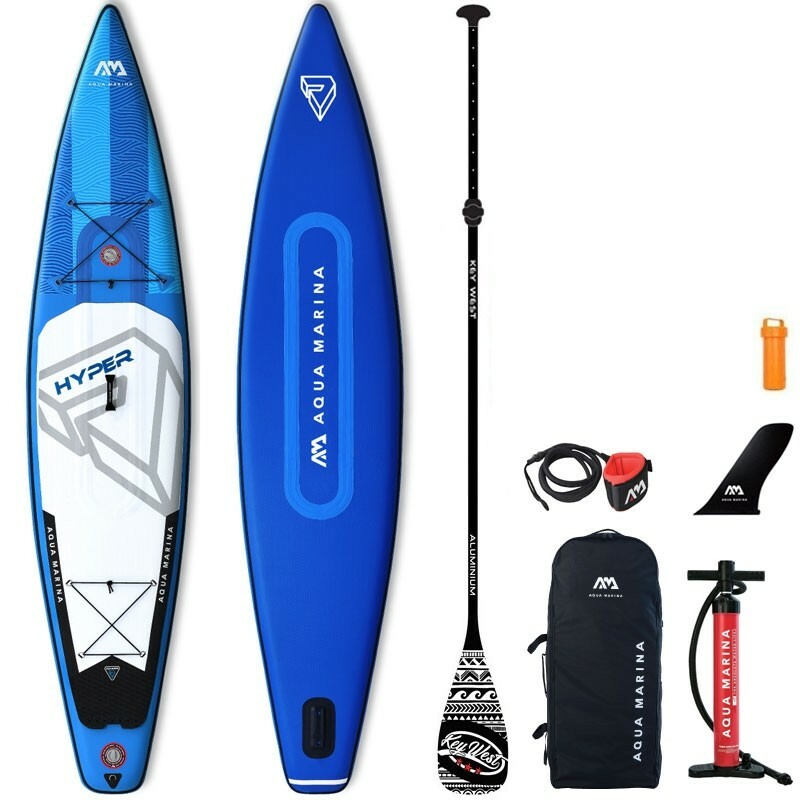 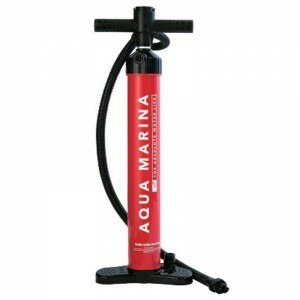 With 32" in width, the Aqua Marina Hyper is both stable and manoeuvrable..